PayPal Business is an online invoicing and payment processing service provider. Its features include recurring billing, customized invoices, advanced fraud protection, multi-currency transactions, and more. In this article, we cover user reviews and pricing. Ready to get started with PayPal Business? Sign up for free. 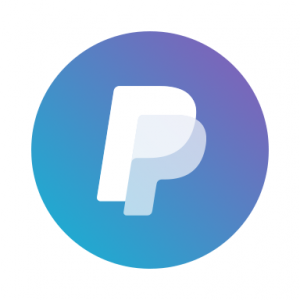 Users who gave PayPal Business a positive review said that it offers convenient invoicing and payment services for retail, food, or other in-app purchases. Some of them also commended its low transaction rates and the level of security for both the sender and receiver of funds. Users who gave PayPal Business a negative review reported long duration of fund transfers. Some of them also complained about the mobile app’s lack of certain features such as the ability to create and send invoices. Invoicing with PayPal Business is free. Users pay on a per-successful-transaction basis: from 2.9% + $0.30/transaction to 5.0% + $.30, depending on the type and scale of each transaction. Upgrades and add-ons come at an extra cost: recurring billing ($10/month) and upgrade to PayPal Payments Pro ($30/month). *Rates for transactions are within the US only. There’s an additional 2.5% charge for any currency conversion and a 1.5% transaction fee to receive international payments. Ready to get started with PayPal Business? Sign up for free. Does PayPal Business accept installment payment terms? Yes. PayPal Business provides customers with flexible financing options which are subject to consumer credit approval. The users, on the other hand, will receive the payment in full. Does PayPal Business extend discount opportunities for merchants? Yes. 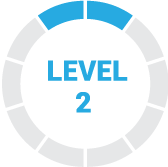 Users can apply for discounted merchant rates once they meet a qualifying calendar monthly sales volume and keep their account in good standing. Interested users are encouraged to contact the support team for more information on terms and conditions. Not sure if PayPal Business is the right fit for you? Read our reviews of all top invoicing software or check out one of these three PayPal Business alternatives. 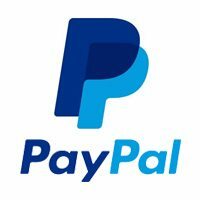 Paypal Business I like it mainly because it is the type of platform with which I can make all kinds of payments for my co-workers, I can manage payments automatically on a specific day and the platform will do it quickly. I love the way he works and how fluid it is for everyone. It has many problems with credit cards that are associated with the account, being a business account, the restrictions placed by PayPal are many. The payments are fast, safe and arrive instantly. There is a lot to say about this, things like waiting a long time to register to get your money, or pay for products or services a long time ago, this application has helped me a lot for my business, could be in a train station, on the bus And even exercising abroad and even managing my money, I love its versatility. My only problem with Paypal is the cost you must pay to use the software if you are the one that receives the client’s funds. This takes away any benefit you may get from selling an item. Most of the time, a person is selling an item at a reduced cost anyway. Maybe a small improvement of the interface would be great. Or how to navigate the menu. The current one is correct and useful, but I really believe that it can be improved so that the transfer and the request are even faster. PayPal Business is a platform with which you can make various payments without the need to link any type of credit card and make payments simply by modifying the work environment and go through the verification steps. PayPal Business provides fast payments, do not delay at all in completing transactions. I have never had problems with PayPal Business, on the contrary, I am satisfied with the payments that I have been able to complete and the people that I have been able to pay simultaneously. The payments made by PayPal in a matter of seconds are very fast, no platform compares with this operation. Clean and intuitive design for the website and applications. Requesting or sending money is a matter of seconds. Payments are generally received and added to the current balance in no more than one hour, and are immediately available. Some parts of the online interface are not as good and modern as the main pages. Buyer protection is possibly too strong, which causes some suppliers to risk being scammed by dishonest customers. Nothing really! I stopped using them because my CRM now has integrated payment processing, but I keep my Paypal account to make backup copies in case I ever need it. It is a fantastic application, with this “Virtual Bank” the legal client can easily manage their balances and outstanding accounts, as well as having an easy-to-use interface and an attractive design to the client, as well as having an almost transfer speed instant, also has a completely reliable protection and security. The problem begins, in the security of accounts protocol, since, sometimes when receiving a transfer, the system itself takes it as a suspicious activity, not to say improper, which causes the acquired bank balance to be returned to the issuer of such balance, as also, the balance may be blocked and inactive for a certain period of time. We find a wonderfully entrepreneurial app for anyone who wants to get their own business, even if it has some aforementioned faults, you can not expect less than an application so effective when managing bank balance.